As probably some of you know mscraps is celebrating its 5th birthday and we are having a huuuuuuge party. 1. The whole shop is having 40% off sale so be sure to check your favourites products as it doesn´t happen too often. 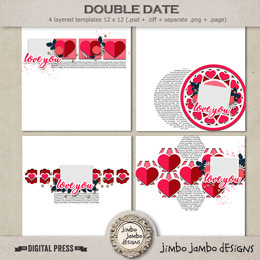 It´s the first time Jimbo Jambo Designs is having that big sale. I hope you all take part in our celebrations and enjoy it!